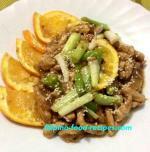 Ready to make some of the popular Filipino Beef recipes? 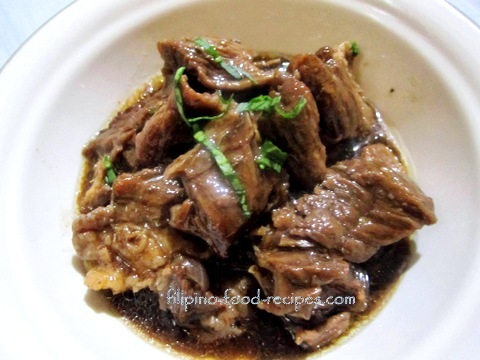 A lot Filipino beef recipes you will find are not your everyday food - I'm thinking that's because beef is not as affordable as pork or chicken - they're usually served during a Sunday lunch or dinner when all family members are home, or on parties and special gatherings. Some may even use extenders to have enough beef to satisfy everyone. Well, that's quite alright. Just think like some health enthusiasts who advise limiting red meat consumption to twice a week, and that includes the burger, hotdog or corned beef sandwich you might have for snacks. 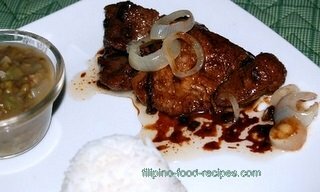 The beef Filipino recipes here are not exclusive to beef. They're traditionally made with beef but you can be creative and use pork, veal, lamb, goat, chicken or combination of meats. What cuts of beef to buy for certain dishes, you might ask? That should depend on the type of cooking you will require. Refer to this page for more information.